سرعت خواندن این مدل کارت حافظه برابر با 95 مگابایت بر ثانیه است. Enjoy extreme performance from your tablet, smartphone, or superphone with the SanDisk Extreme Pro microSDHC UHS-I Memory Card. This memory card brings exceptional data speeds to your mobile device, enabling faster multitasking, seamless Full HD1 and 3D video recording, and smoother app performance. And since the card features SanDisk’s solid state engineering and 16 GB2 of storage, you can count on it to reliably store music, photos, games, and all the other media you frequently use on the go. Add 16 GB of storage to your smartphone or tablet. even recording Full HD video. Delivering read speeds of up to 95 MB/s3, the SanDisk Extreme Pro microSDHC UHS-I Memory Card helps you get the most out of your tablet or smartphone. While slower cards can create a bottleneck for mobile device performance, this memory card is fast enough to handle even the most resource-intensive tasks. The card’s speed ensures smoother Full HD media playback, quicker photo editing, and smoother, more immersive gaming. You will also be able to multitask without the performance hiccups or latency you would experience with a slower card. 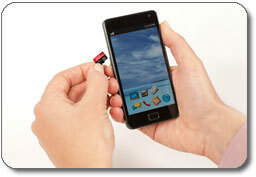 Engineered using UHS-I bus architecture, the SanDisk Extreme Pro microSDHC UHS-I Memory Card can snap pictures faster. 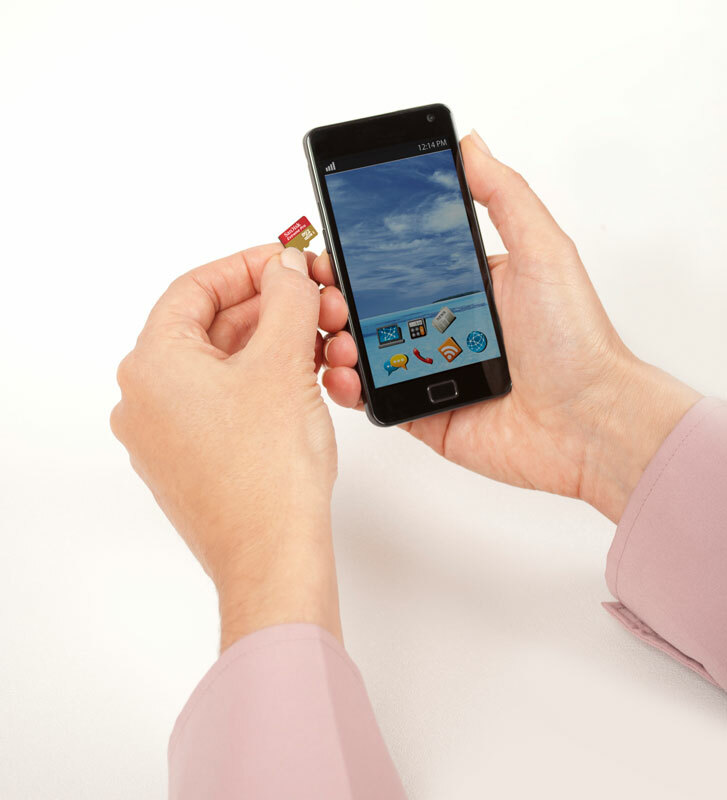 The card can achieve a maximum write speed of up to 90 MB/s3, so pictures are recorded nearly instantly after you take them. This increases the number of shots you can take in a single burst during continuous shooting, ensuring that you will never miss a moment. The card also features a Class 10 speed class rating, allowing you to record Full HD and 3D video with flawless fidelity. 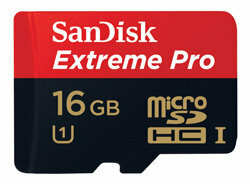 The SanDisk Extreme Pro microSDHC UHS-I Memory Card4 is designed to withstand water, shock, and vibration. It can also function in nearly any climate, thanks to its operational temperature range of -13 to 185 degrees Fahrenheit. 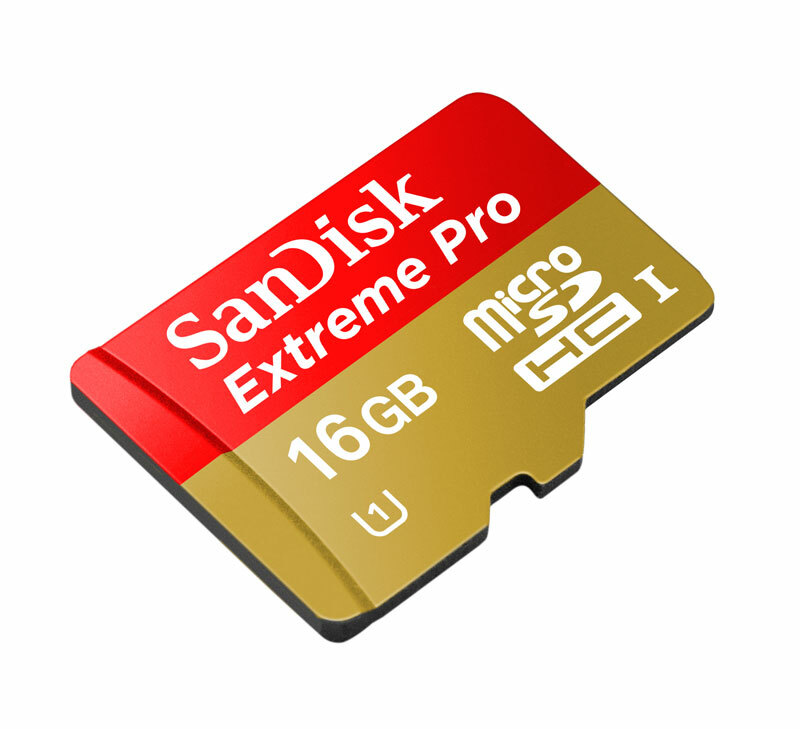 The SanDisk Extreme Pro microSDHC UHS-I Memory Card is available in capacities up to 16 GB, making it ideal for storing high-volume files like Full HD videos, music files, and apps. You will be able to store all of your favorite mobile media without running out of space. The SanDisk Extreme Pro microSDHC UHS-I Memory Card can be used with any device compatible with the microSDHC format. 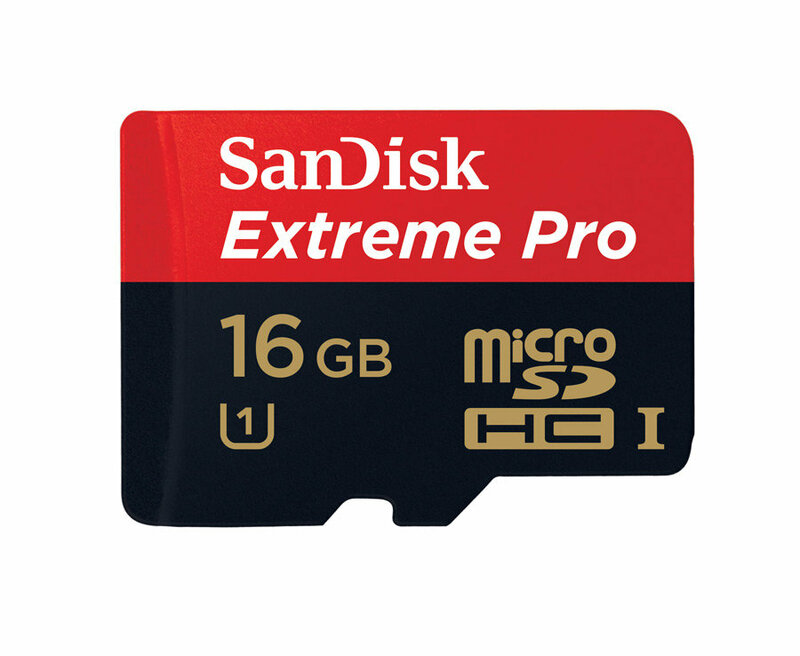 SanDisk Extreme Pro microSDHC UHS-I Memory Card (16 GB). ۱ Compatible device required. Full HD (1920×1080) video support may vary based on host device, file size, resolution, compression, bit rate, content and other factors. ۲ ۱ gigabyte = 1 billion bytes. Some capacity not available for data storage. ۳ Up to 95 MB/s read speed; up to 90MB/s write speed. Based on internal testing; performance may vary based on host device. 1 megabyte (MB) = 1 million bytes. The fast read speed ensures faster app loading and smoother Full HD and 3D media playback. Enjoy extreme performance from your tablet, smartphone, or superphone with the SanDisk Extreme Pro microSDHC UHS-I Memory Card. This memory card brings exceptional data speeds to your mobile device, enabling faster multitasking, seamless Full HD2 and 3-D video recording, and smoother app performance. And since the card features SanDisk’s solid state engineering and 16 GB1 of storage, you can count on it to reliably store music, photos, games, and all the other media you frequently use on the go. Add 16 GB of storage to your smartphone or tablet. View larger. Ideal for watching or even recording Full HD video. View larger. Engineered using UHS-I bus architecture, the SanDisk Extreme Pro microSDHC UHS-I Memory Card can snap pictures faster. The card can achieve a maximum write speed of up to 90 MB/s3, so pictures are recorded nearly instantly after you take them. This increases the number of shots you can take in a single burst during continuous shooting, ensuring that you will never miss a moment. The card also features a Class 10 speed class rating, allowing you to record Full HD and 3-D video with flawless fidelity. ۱ One gigabyte = one billion bytes. Some capacity not available for data storage. ۲ Compatible device required. Full HD (1920×1080) video support may vary based on host device, file size, resolution, compression, bit rate, content and other factors. ۳ Up to 95 MB/s read speed; up to 90MB/s write speed. Based on internal testing; performance may vary based on host device. One megabyte (MB) = one million bytes.